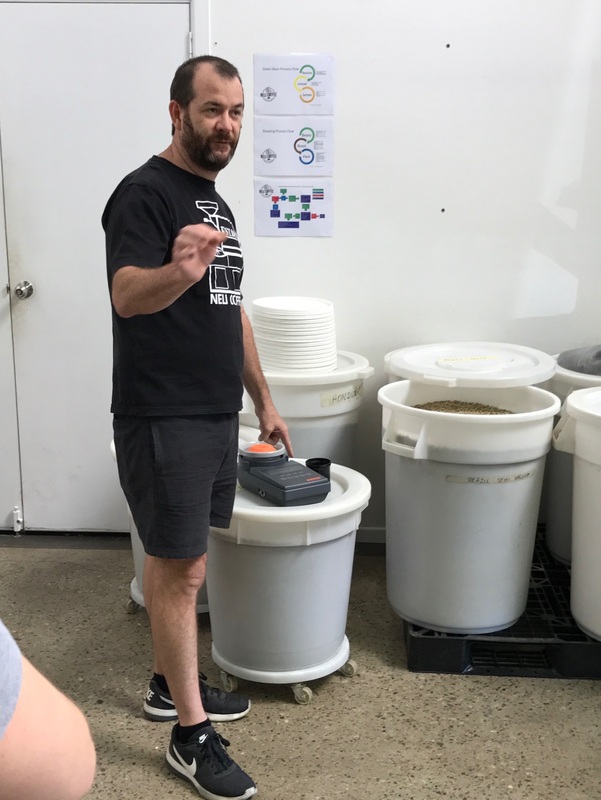 Having attended a couple of Brisbane coffee tours run by Glenn and George at Bean Brewding over the last two or three years, I recently felt it was time to get along for another. As I’ve mentioned before, the tours are a great way to discover new coffee destinations, or for places already familiar to you — experience a more detailed look “under the hood” at a cafe or roastery and hear more about the coffee industry itself. As an amateur enthusiast, after spending many years researching and learning about the craft, I can guarantee there is no better way to further develop your coffee skills and knowledge than interacting with those who work within the industry on a daily basis. Of course I’d also recommend any of the tours for simply a fun morning out with plenty of coffee — what’s not to like about that! 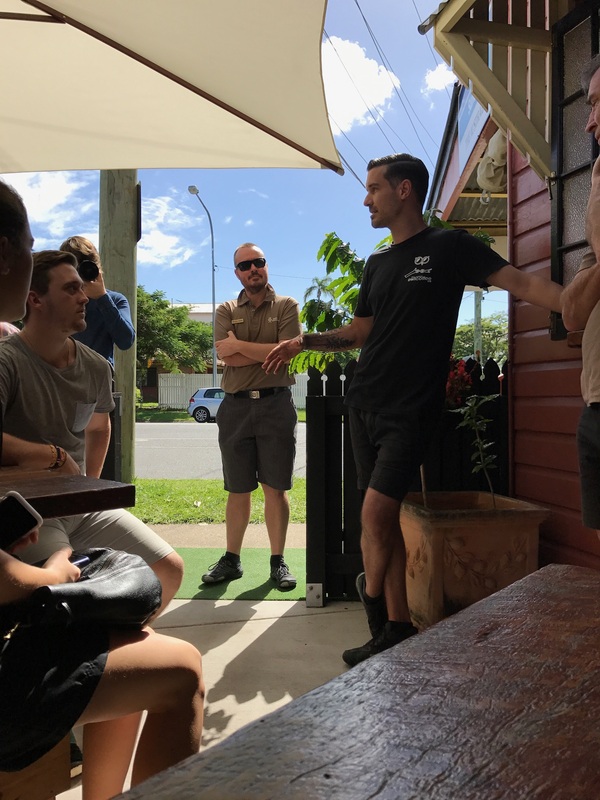 So, on a sunny Saturday morning in April, it was Brisbane’s Northside which played host to a dozen or so coffee tourists eager to see more, learn, and sample some of this town’s finest coffee offerings. 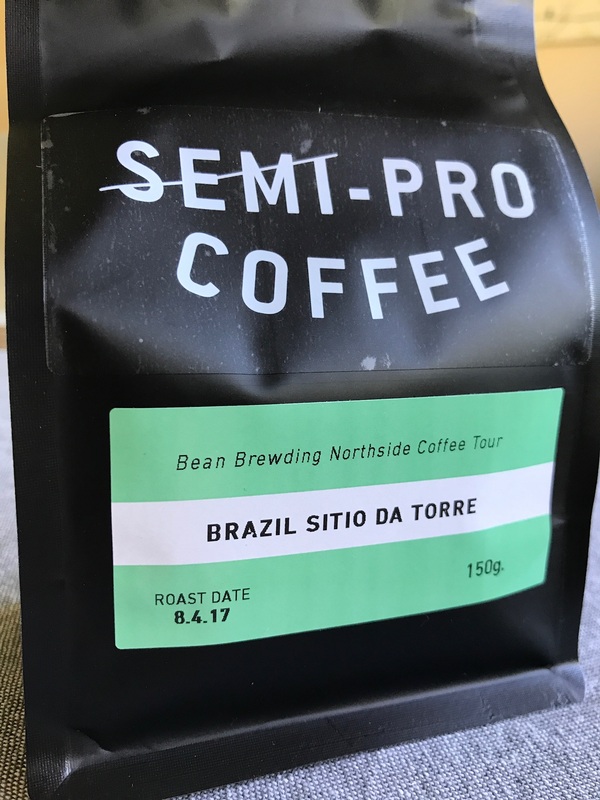 Our first stop and meeting point was Semi-Pro coffee in North Lakes, where we took a closer look at coffee roasting. Gracious hosts Jason and Tim provided an insight into their roasting philosophy and processes, creating a profile for a naturally processed Brazilian coffee while we watched things unfold both in the roaster, and on the Cropster software in front of us. 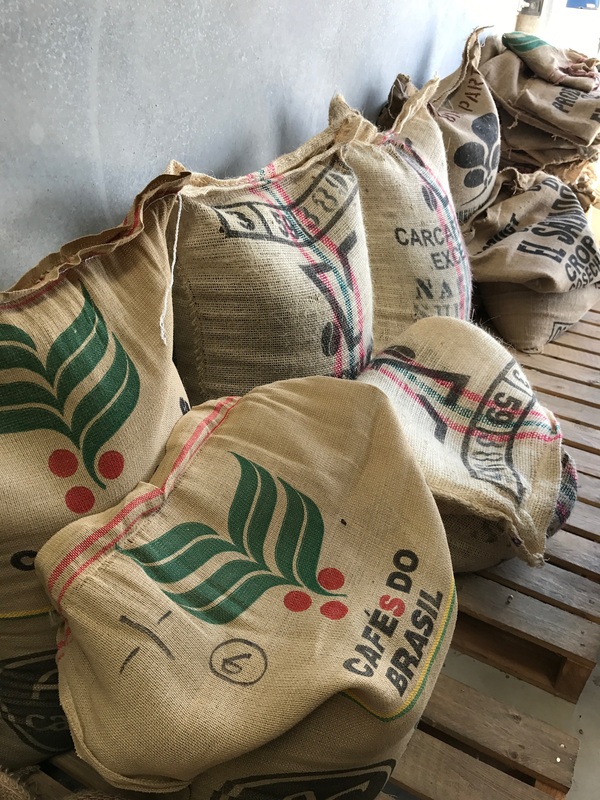 Some further discussion on topics such as rate of rise, charge temperature and development time (amongst other things), took us to the end of the session, by which time we had also sampled an earlier roast of the same full-bodied and nutty Brazilian coffee. After the freshly roasted coffee had sufficiently cooled, each of us bagged, labelled and sealed some to take home. Certainly a fine way to start the tour and the morning. The Wired Owl Coffee Co.
A sort trip down the road to Sandgate brought us to The Wired Owl Coffee Co, a real suburban gem and true destination venue in its own right, which coincidentally was celebrating its second birthday that very day. Owners Aaron and Tracey (along with a very efficient team) were on hand to ensure the visit was a success. Here the emphasis was on taking the time to stop, sit down, and enjoy some great coffee. Oh and great it was indeed, with Aaron serving a naturally processed coffee from fifth generation El Salvador producer Aida Batlle, and sharing the story behind one of the highlights from the Wolff Roasters coffee offerings from the past year. 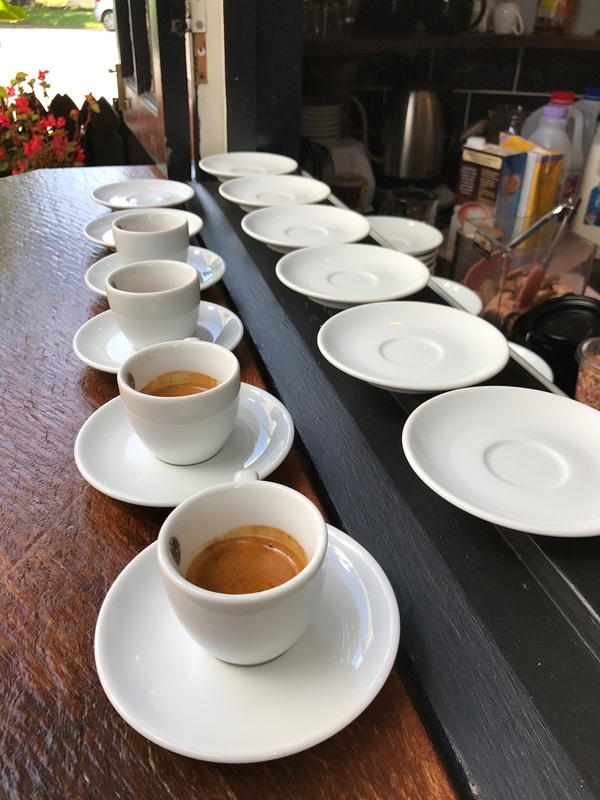 Those on the tour tasted the Finca Kilimanjaro coffee as an espresso and a flat white, comparing the sweet and syrupy dark berry flavours of each. 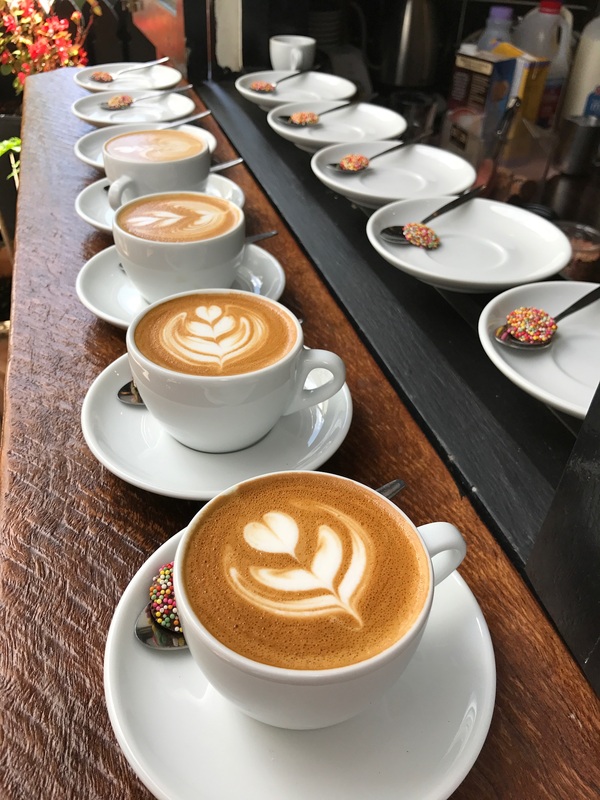 My pick – the espresso, however both were outstanding, and testament to the passion and high standard of quality and service you will find out in Brisbane’s suburbs if you know where to look. 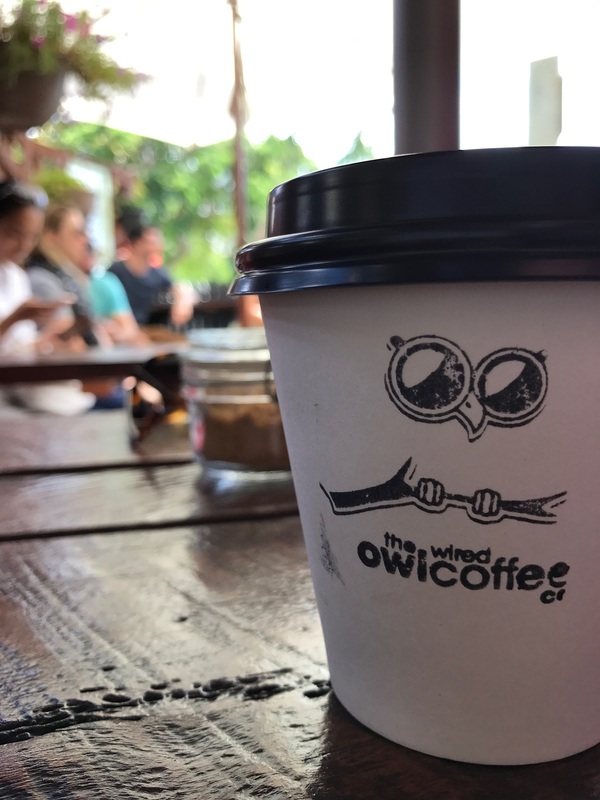 A short note to mention that Aaron and Tracey are very dear friends, and nothing makes me prouder than watching their hard work develop The Wired Owl into one of Brisbane’s finest suburban cafés. So yes, perhaps I am a little biased, however I encourage you to visit for yourself and enjoy everything it has to offer. For the final stop on the tour it was back to a little science with Ed and Alex at Neli Coffee in Redcliffe. Here we learned about and compared the moisture content and density of various green coffees from different parts of the world. After a quick trip outside to view and sample the sweetness of some coffee cherries growing in the Neli Coffee “car park microlot”, we moved onto sampling some of the renowned geisha varietal brewed by filter, some cleansing Cascara (a tea-like brew from the outer pulp of the dried coffee cherries), and of course a little more espresso. A demonstration of some new and innovative brewing methods also accompanied some general coffee Q&A (with prizes! ), and was a great way to conclude the tour. As well as some great coffee, Neli’s soon to be renovated roastery and retail area has quite an array of devices for the home enthusiast and is well worth a visit. Another region of Brisbane, and another tour completed. 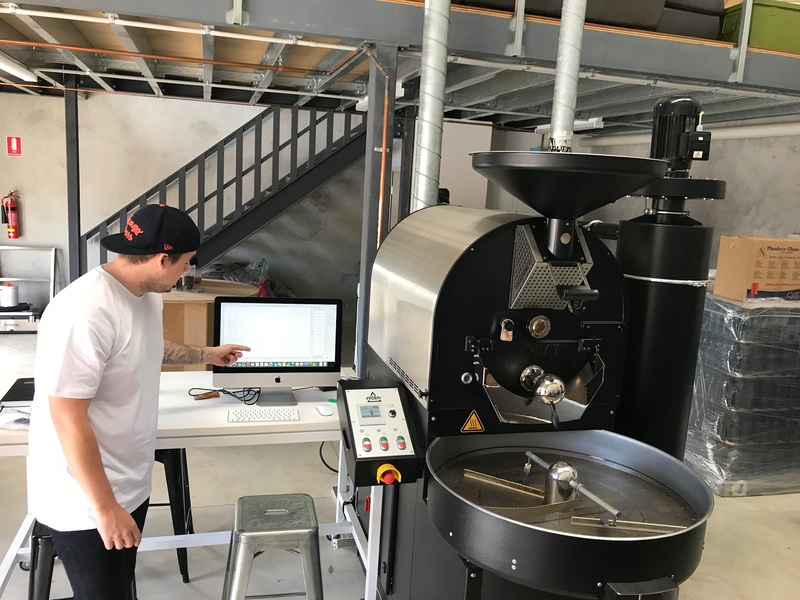 I must admit to having an ever-increasing amount of knowledge relating to Brisbane’s coffee industry thanks to the team at Bean Brewding. 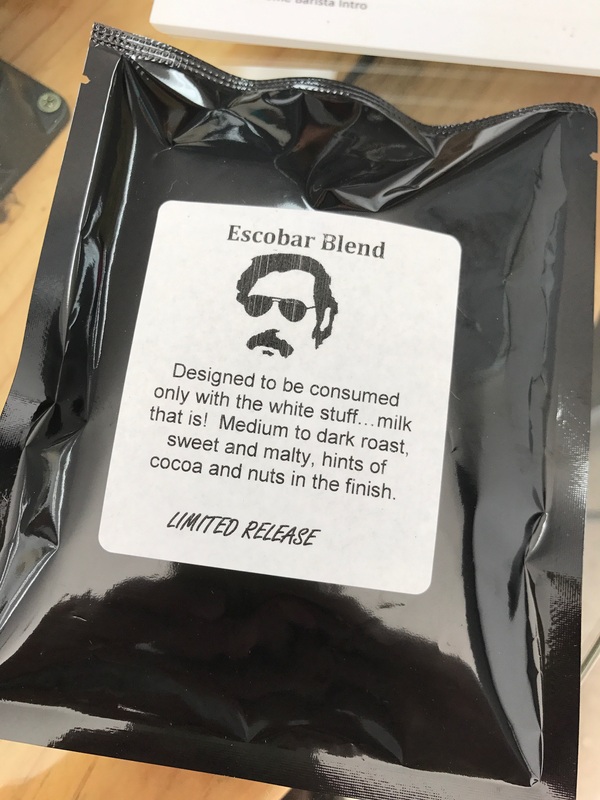 If there is one thing I would say about these tours, it is they are a relaxed, fun, and very informative way to expand your coffee skills and knowledge. For many attendees, coffee is of course not simply one of our favourite beverages, but a passionate enthusiasm for the craft itself, and the industry bringing it to us. I’ve said it before and I’ll say it again, attendance on a Bean Brewding Coffee Tour certainly comes highly recommended from me — whether you are new to specialty coffee or have been dabbling for some time. Either way, you’ll feel right at home and learn a considerable amount to help you on your journey — which in itself is likely to be a lifelong one. The next tour? Find out more on the Bean Brewding Tour Page. If you cannot make it along, I’m thinking the next best thing would be some Bean Brewding freshly roasted coffee.